Forty-seven-year-old textile trader, Ifeka Obi, was about to board a flight at the Nnamdi Azikiwe International Airport, Abuja on Wednesday when a search of his baggage revealed a curious cargo. Tucked within a load of foodstuffs, which he told operatives of the National Drug Law Enforcement Agency at the scene that he was exporting for sale in Cambodia was 4.4kg of methamphetamine. 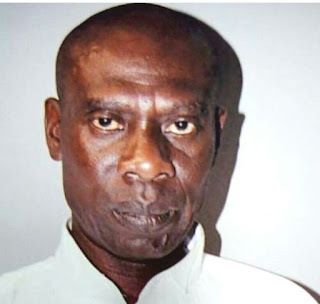 According to the NDLEA, at about $325,000 per kilogramme, the narcotic cargo Obi was caught with will fetch his handlers at least $1.4m (about N426m). The agency's spokesperson, Mitchell Ofoyeju, told a Punch correspondent that drug cartels are working to capture the market for methamphetamine in the Southeast Asian country because the price of methamphetamine is higher there. For the N426m drug, the suspect, an Oba Idemili South Local Government, Anambra State indigene, said he had been promised N1m payment by his "sponsors". "I was given the drug in Lagos but decided to travel through Abuja. My travel expenses were taken care of by myself . I was told I would be paid the N1m once I deliver the drugs successfully. "I am a textile dealer but I lost everything due to family problems. This is my first time of smuggling drugs. All I wanted was money to get my business back on track. Now, I will accept anything that happens to me as fate." The NDLEA commander at the airport, Hamisu Lawan, said that the drug which was concealed inside foodstuff was detected during the outward screening of passengers on an Ethiopian Airline flight. Chairman of the NDLEA, Col. Muhammad Abdallah (retd.) said the seizure was an indication of the agency's "superior intelligence and law enforcement practice."